Most people only dream of taking a once in a life-time trip abroad. I have been so fortunate to be LIVING abroad for over four years now. While there are abundant options for things to do and see, sometimes I like to stick close to “home.” Maybe I want to just get out of the house and explore or show family and friends visiting what a beautiful country and area I live in. For anyone who has traveled to Germany, they know that Bavaria is where all the stereotypes come true! It is not uncommon to see a couple wearing a Liederhosen and Dirndle on their way to a fest, to see someone drinking a beer by 9am and pretzels and brats are staples of the cuisine. 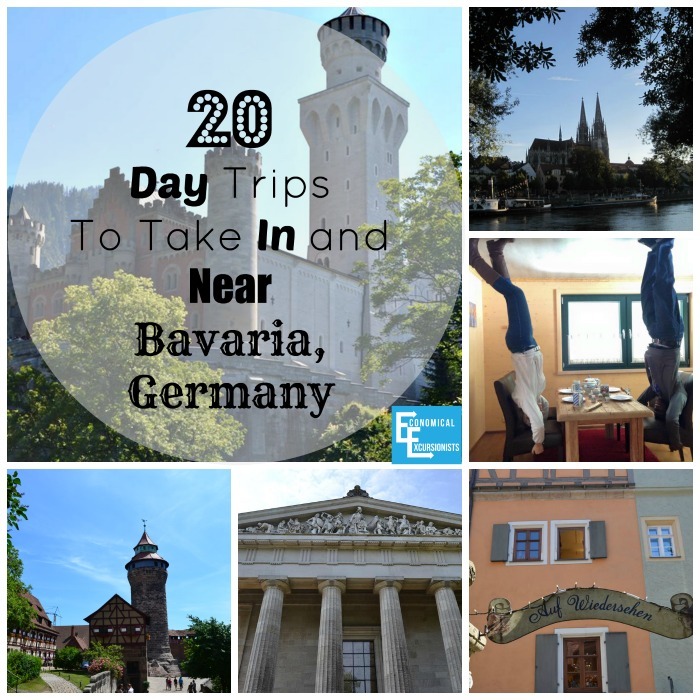 Many people that come to Germany will check out at least Munich, but there are so many other amazing things to see in the in addition to the beer halls of Munich, including some wonderful day trips in Bavaria. 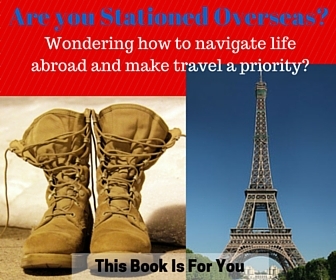 I have many readers who are affiliated with the military. Whether you are stationed at one of the few posts scattered in Bavaria or are just wanting to see more of the region, here are some of our favorite and best places to go in Bavaria. This is one of the most picturesque towns you may ever see. There is plenty to do in the city itself or, you can really make a day (or several!) out of it and tack on. 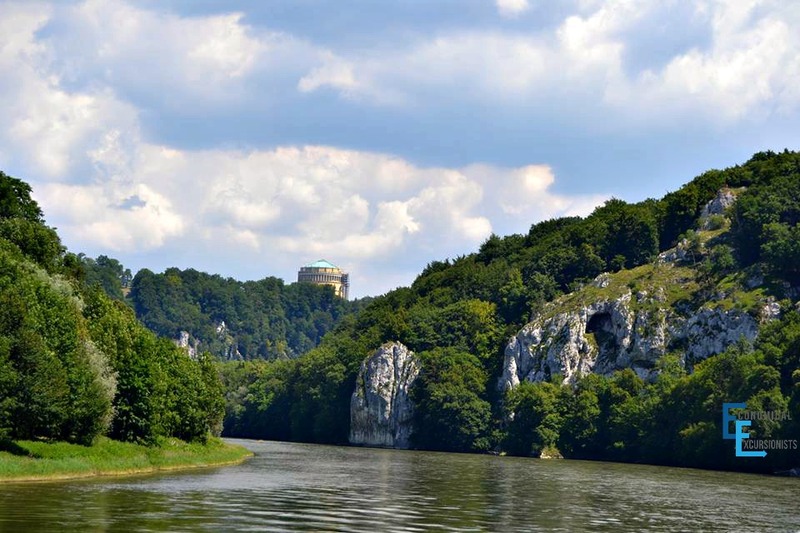 Check out A Delightful Day Down the Danube for extensive info on the following amazing Bavarian points of interest. 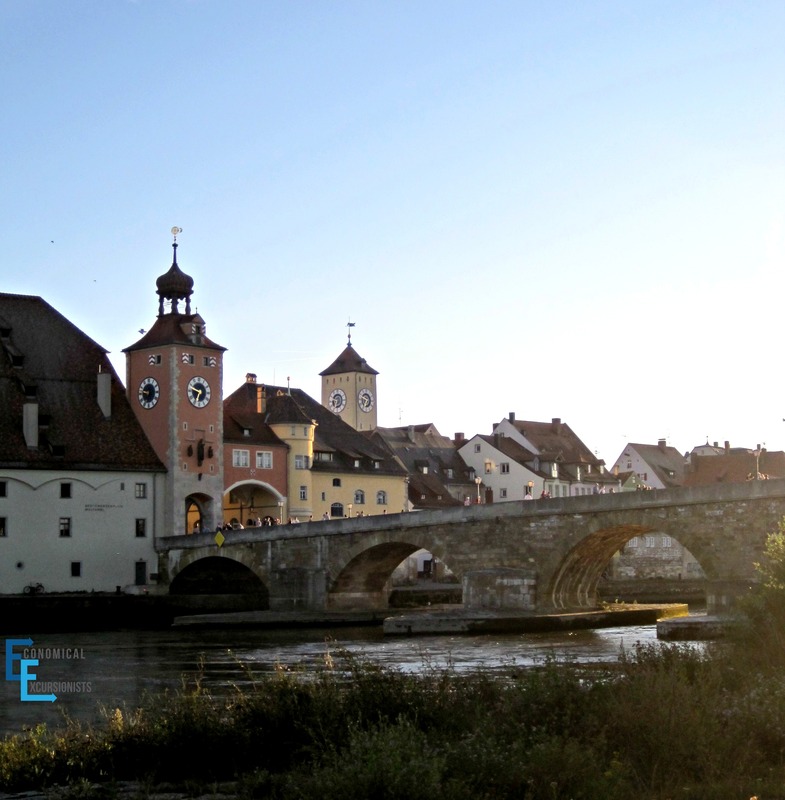 Not far from Regensburg is the often over-looked village of Berching, but it offers so much! With an intact defensive wall, 15 century towers and brightly colored houses and buildings, you’ll think you are in a fairy tale town. There is a great indoor swimming pool, perfect for families and plenty of delicious restaurants to grab a Bavarian meal at. Another world UNESCO Heritage site perfect for the beer lovers of the world is beautiful Bamberg. In fact, Bamberg has the most breweries per capita (clocking in at over 300!) You can get the specialty brew made locally in the town; Smoked Beer or Rauchbier (think bacon meets beer…not for the faint of heart!). Even if you are not into beer, Bamberg is worth a visit for it’s beautiful architecture and quaint painted houses along the riverside. You can easily spend a day wandering around, enjoying the churches, river views and more. 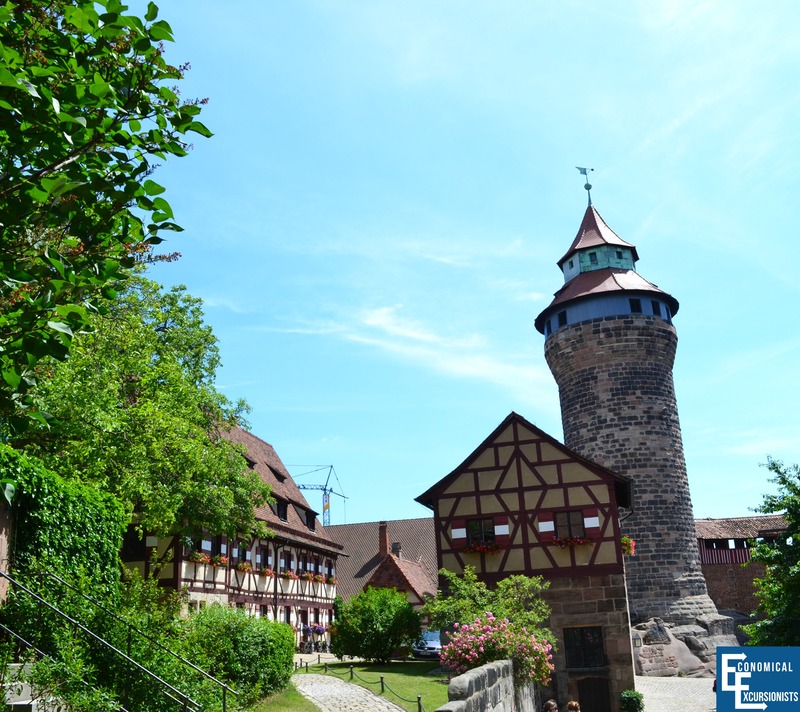 Dating all the way back to the 9th, century, Nuremberg is an absolute must for history buffs. Take in great views from the Nuremberg castle or just walk the cobbled-stoned streets stopping at the many churches and town squares. There are also the Nazi Rally grounds and Documentation Museum, a very well-done center explaining how Hitler was able to raise up to power as well as the effects of the war and Holocaust. Grab the Rick Steves Nurnberg self guided walk (free in his book) to learn more about the rich history of this beautiful town. If you are there over the winter months, absolutely do not miss the largest Christmas Market in Bavaria and try the original gingerbread (Lebkuchen)! 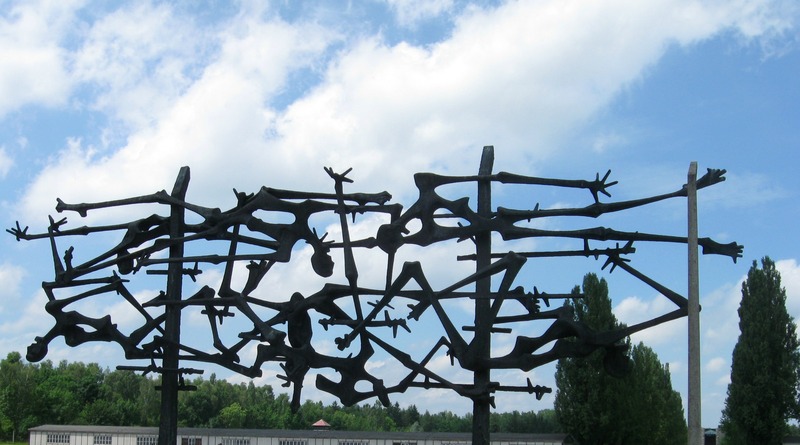 Another historically rich activity to do while in Germany is to visit the concentration camps. Dachau is the first “official” concentration camp in Germany but Flossenberg is just as worthwhile to remember the atrocities of the Holocaust. Both are easy to get to an an extremely important and memorable thing to do while in Germany. The area around Pottenstein is actually dubbed the “Franconian Switzerland” due to it’s beautiful geographical features. This is the perfect setting for all there is to do in Pottenstein, including caves, a sommerrodelbahn (think mini roller coaster), great restaurants, rock climbing and more! This is both a great place for people looking to get outdoors as well as families to explore. This nature park is a children’s (and children at heart) delight! 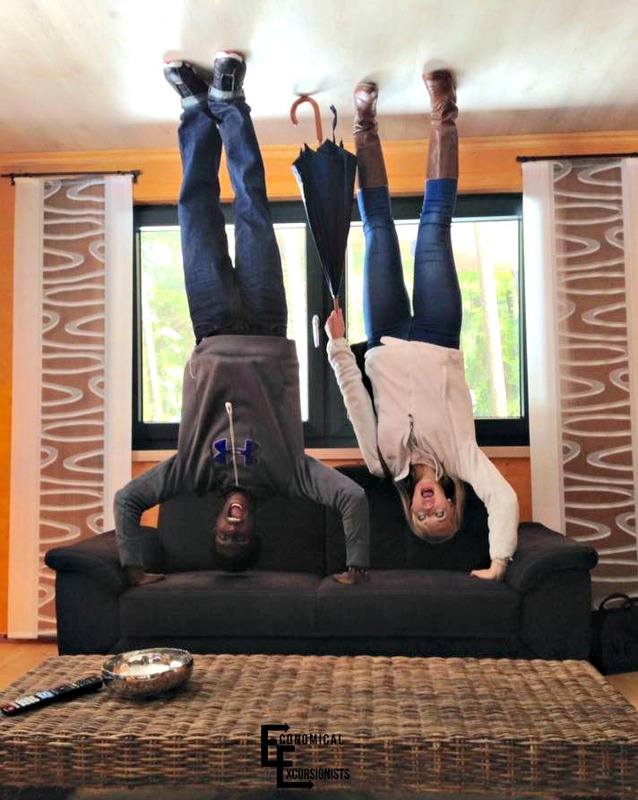 Explore the upside down house that will have everyone giggling and everyone on Facebook totally bewildered! Take a walk up in the trees or stroll along the forest floor in the nature section and enjoy the great cafe. Only a few hours drive from several of the Army posts in Bavaria is this gem of a lake! There are water sports, beaches, snack shops and restaurants; all perfect for a day out on the water. A beautiful Baroque styled city. 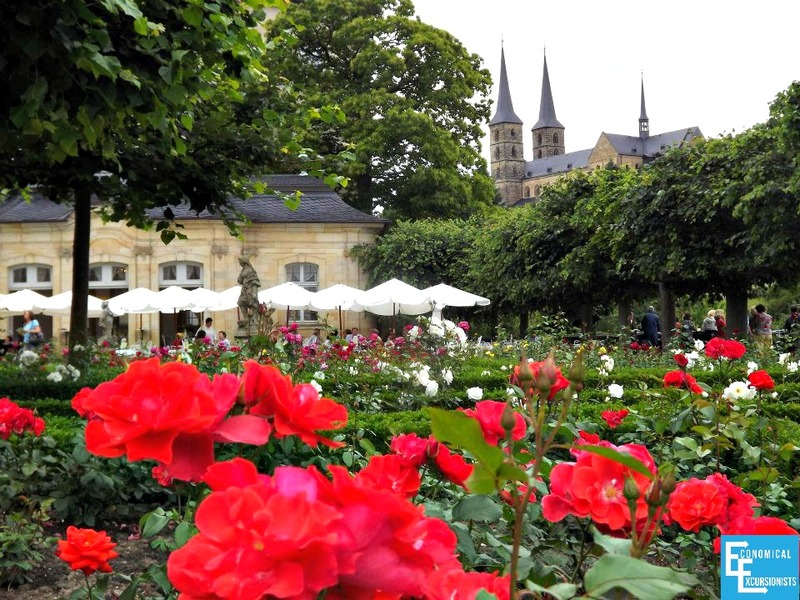 Tour the Residence, meander in the gardens, stop at the churches, see the castles, take a wine cruise and more! 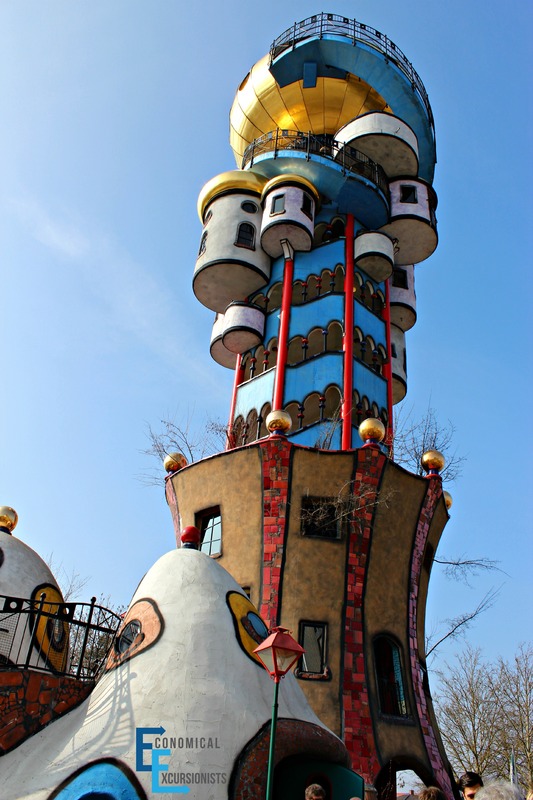 The Hundertwasser Tower is a famous work of art that actually houses a wonderful centuries old brewery. Take a brewery tour and get a beer sampling from the freshly made beer. 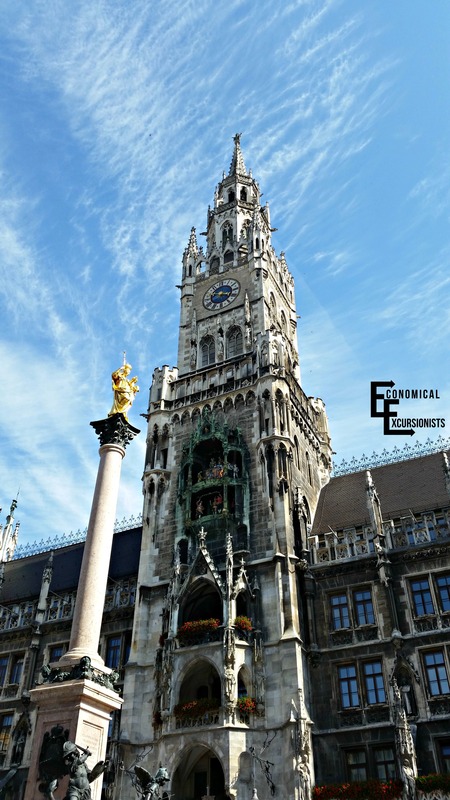 There is so much to do in the city of Munich that one day probably isn’t enough, but if you are looking for things to do, you can easily fill up a full day (and return for more in the future!). There are, of course, the touristy stops like the Marienplatz, HofbrauHaus and Oktoberfest (in September). 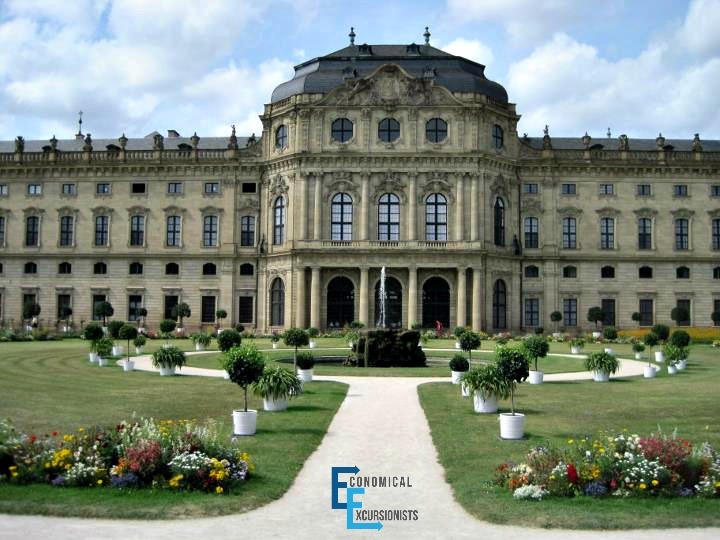 However, there are plenty of other things to spend your time doing like enjoying the Augistiener Bier Garten, visiting the Nymphenburg Palace or spending the day at the Deutches Museum or BMW museum. 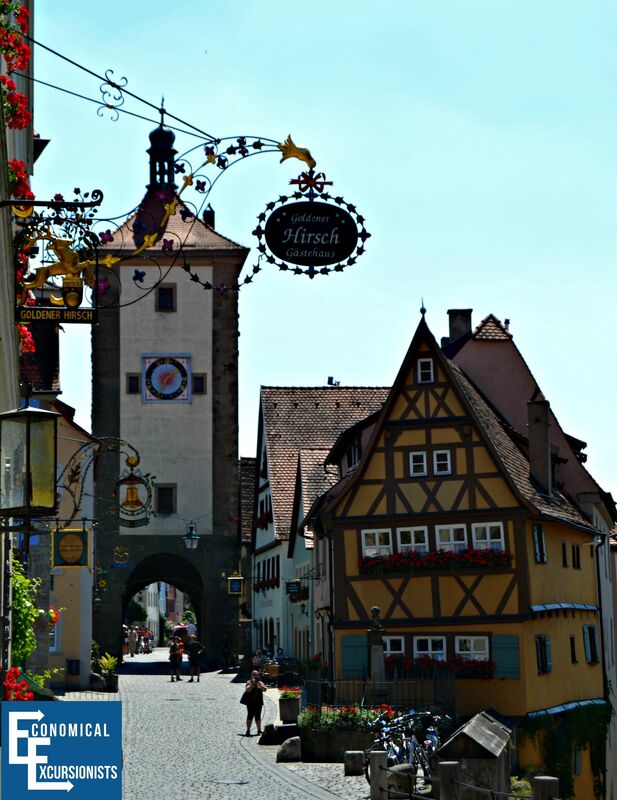 Many people will combine the “Disney Princess Castle” with other places on the Romantic Road, like Rothenburg and Munich for a weekend trip, but it can still be done in a long day. 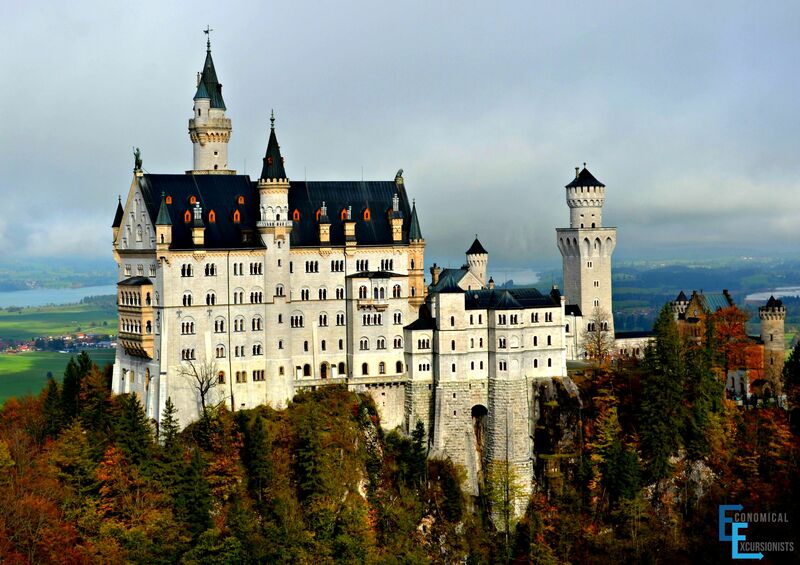 Here is my post on Everything you need to know for Neuschwanstein! While most of the above mentioned locations are great for families, couples and solo travelers alike, there are some great family-oriented destinations to be found as well on day trips in Bavaria. Europa Park: This popular theme and amusement park is great for families and is another great place to consider year around, but might be a better weekend option depending on where in Bavaria you are starting from due to distance. They even have this amazing looking campground if you really want to go all out! Whether you are looking for the best towns in Bavaria, a good Bier Garten, outdoor adventures or a delicious schnitzel, there are so many things to do in beautiful Bavaria! What are your local favorites? One of the easiest ways to travel in Germany is via the DeutscheBahn trains. The Bayern Pass is the perfect ticket to get you to many of the destinations on this list. Cost of Ticket: 23 Euro for one individual + up to 4 additional travelers at 5 Euro each. Bavaria is So beautiful! Tell us in the comments where have you been in Bavaria that others should know about? We also loved the Altes Schloss in Bayreuth (not sure if it’s still in Bavaria but not far North of Graf) and the island town of Lindau on the Bodensee and surrounding areas. Great suggestions! I already have Bodensee on an upcoming article about great weekend trips I have heard great things about Bayreuth as well, will have to check it out! Thanks for the info! Does the Bavaria Pass include usage of ICE trains? Great question! No, the Bayern pass is only good for regional and local transport, so no ICE. If you want to book an ICE train, they usually open seats about 3 months prior and the sooner you can book them to when they open up, usually the cheaper they are, so it’s always a good idea to plan w/ those. We very much enjoyed your article with great suggestions throughout Bavaria and were curious to see, if the town of Dachau, just a short train ride from Munich, would also find mentioning? However, Dachau is listed here only as the site of the “Dachau concentration camp memorial site”. Yet, there is more to be discovered. Looking back at over 1,200 years of history, picturesque Dachau old town was once a Wittelsbach summer residence and also one of Europe’s famous artists’ colonies. Today, Dachau is the cultural town north of Munich with many high-end cultural events, but also a traditional folk festival in August and a Christmas market each December. The panoramic view from the palace courtyard towards Munich and the alpine peaks in the distance is unrivaled. Amazing photos. I lived in Germany as a kid since my mom was in the military. I’d like to go back and travel. of only making wheat beers, possibly saving the style from extinction in the 1800s. And their wide range of offerings is very impressive. One of Andy’s favorite wheat beers! Agreed! Germany just holds so many amazing options to visit, see and experience! Europa Park is not in Bavaria, it is in Baden-Württemberg on the border to France! 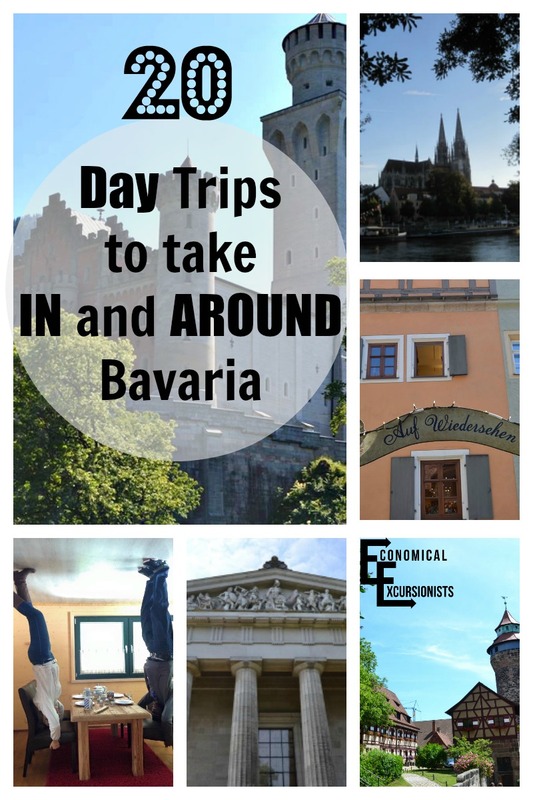 This is a great list of Bavarian cities for day trips – Thanks for sharing! Passau is another pretty little Bavarian city that is not too far from Munich and well worth a visit. It’s known as the city of three rivers and is surrounded by gorgeous water. It has some cool breweries and the largest cathedral organ in the world (at the St. Stephen’s Cathedral). And Füssen is another Bavarian city to check out – it unfortunately gets overlooked when visiting the famed Neuschwanstein castle. The nearby Tegelbergbahn in the little village/town of Schwangau is also a must-see. The views of the Alps from the top of the mountain are pretty amazing. And yeah, like Andrea mentioned, Bodensee is simply wonderful with its cluster of the most charming little towns that extend into the Baden Wurttemburg state but is still not too far for a day trip! Pingback: Day Trips: Are they even better than vacations? ← Ludwigsburg Pumpkin Festival: The largest in the world!